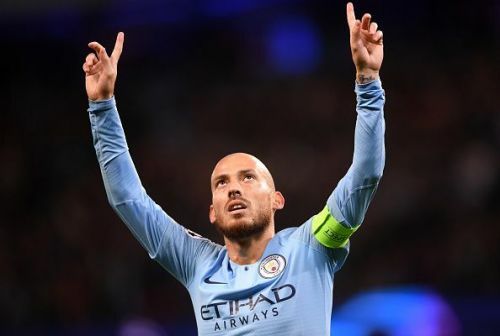 Current Premier League champions Manchester City hosted sixth-placed Arsenal at the Etihad stadium in their league fixture yesterday, which ended in a victory for the reigning champions. Both of the clubs are among the biggest clubs in the English top flight, with one club having seen its glory days in the past under legendary manager Arsene Wenger and the other is going through its golden age and is now being managed by the phenomenal Pep Guardiola. The current Gunners' coach Unai Emery tasted the first defeat of his Premier League career on his debut when his team was beaten by the Sky Blues at the Emirates. Emery has never won a match against Guardiola and the former Barcelona coach made sure the record stayed that way. We all know Guardiola and Emery are top managers with a great record at their previous clubs and it is a once-in-a-lifetime opportunity for any player to be training under any one of these eminent coaches. Did you know that renowned players like Lionel Messi, Neymar, Lewandowski, Kevin De Bruyne, Mbappe have played under both of them, but only a select few have had the chance to train under them. So, now that the coaches have met for the second and final time this season, let us take a look at the 4 players who have played for both Guardiola and Emery in their career. David Villa joined Barcelona from fellow LaLiga club Valencia in 2010. One of the best strikers to have played for La Furia Roja, David Villa started his career from Sporting de Gijón and made a name for himself with Valencia under Unai Emery. In Emery's first full season in charge in 2008, the striker was at his prolific best and after finishing as the top scorer at EURO 2008, hit a purple patch in the LaLiga, scoring a career best of 28 goals in just 33 appearances. The EURO 2008 winner would again cross the 20-goal mark the next season and this earned him a €45 million move to Spanish behemoths Barcelona just before the World Cup kicked off in South Africa in 2010. The player was at his best with Los Che but won the historic treble with Barca in 2011 under Guardiola and failed to win any trophy in the two seasons he spent playing under Emery. The 2010 World Cup winner was an integral part of both the manager's teams in the two seasons he was associated with each of them and has now joined former teammate Iniesta at Vissel Kobe in the J1 League.